Andi Sigler wants you to do nothing. That’s right: she wants you to float in very salty water and do nothing. For those of us accustomed to having our eyes glued to an iPhone or laptop all day, completely disconnecting can be more challenging than it sounds. But for Sigler’s clients who have experienced a 60-minute float session or one of the other therapies offered at VIVE Float Studio+, the benefits to both mind and body are worth slowing down for. Andi Sigler (left) founded Vive Float Studio with a mission to help people to discover the power of rest. Keanna Casanova (right) is the Cherry Creek location's studio manager. After watching Arianna Huffington's TED Talks, in which the Huffington post co-founder famously praises the healing power of sleep and rest, Sigler knew she had to make a change. On a trip to Israel, Sigler had a “powerful experience” floating in the Dead Sea, which is world-renowned for its high salinity—roughly 8.6 times saltier than the ocean—that provides a natural buoyancy, allowing swimmers to float with ease. She hadn’t heard of float therapy until one day a Groupon—“like a little miracle”—touting the service came across her desk. 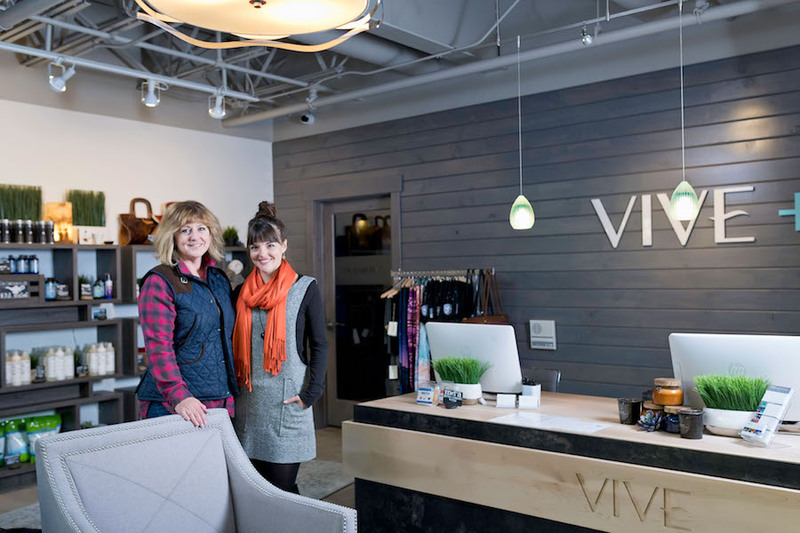 She spent the next couple of months traveling across the country touring float therapy facilities and went on to open the first VIVE Float Studio in Frisco just nine months later. Soon thereafter, she launched the second location on Steele Street in Cherry Creek North and the third in Old Town, Chicago. All of the float rooms are private suites, and can be customized with music, lighting and more to provide ultimate relaxation. VIVE Float Studio+, the first national rest and recovery wellness center dedicated solely to simultaneous mental and physical restoration, specializes not only in float, but also cryotherapy, infrared, vibroacoustic (VAT) and halotherapy. Sigler’s vision to create a calm, clean and curative environment led her to embrace additional all-natural modalities that focus on total wellness, and to create a place for those with ailments like chronic pain, stress-induced illness, and sports injuries to experience mental and physical healing. 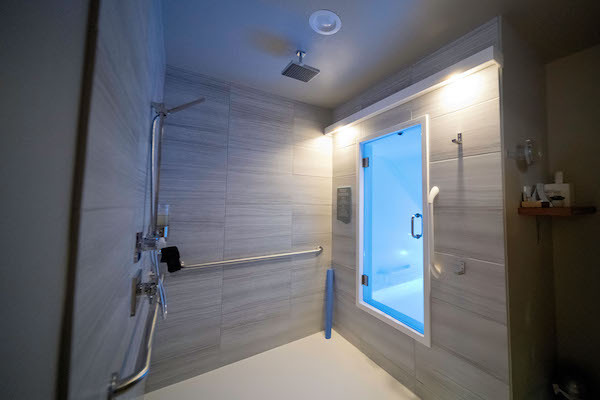 Every float therapy room is part of a private suite, which contains an open bath area that holds 10 inches of water with 1,000 pounds of magnesium salt—a higher salt concentration than the Dead Sea. 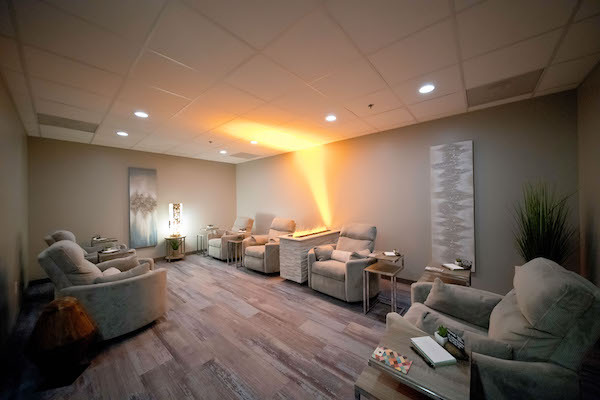 All of the float rooms are state-of-the-art, with extensive filtration systems, underwater color-changing lighting, and audio capabilities (which come in handy for those who prefer not to float in silence—Sigler says instrumental music and hypnotherapy recordings are popular choices). Members have full access to the Quiet Center, with cozy chairs, an organic tea bar and a relaxing water feature. Second to float therapy, cryotherapy is becoming one of VIVE’s most popular modalities. Before the Denver Broncos obtained a similar cryochamber this year, the Cherry Creek North studio was home to the coldest cryotherapy machine in the state of Colorado. The cryochamber works by exposing the body to ultralow temperatures using liquid nitrogen, and the restorative effects of cryotherapy have become exceedingly popular with athletes. The cryochamber can be customized to target certain areas of the body and can also switch to deliver heat during the experience for richer results. Whether you fancy a float, want to explore what cutting-edge cryotherapy technology can do, or are interested in another alternative therapy that addresses both your mental and physical wellness, your journey to relaxation and recovery begins with VIVE Float Studio+.